NOTE: Holiday hours may vary. Hours and menus subject to change. Boat parking available dockside on Lake Union. 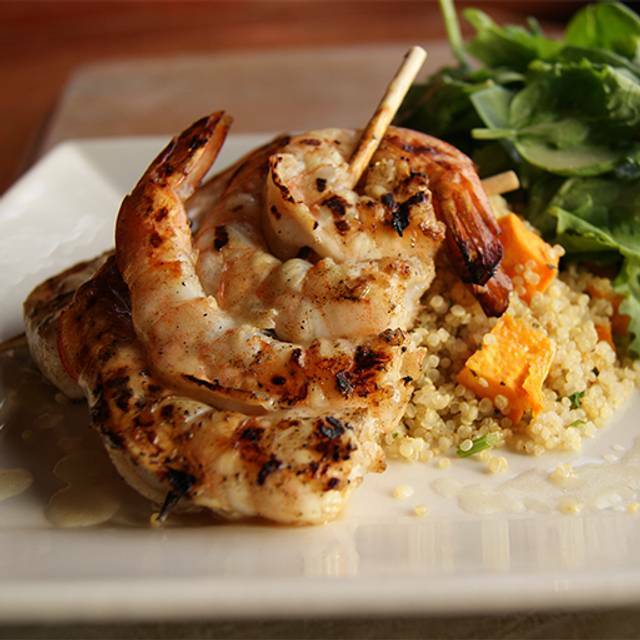 Come enjoy lunch, dinner or happy hour! 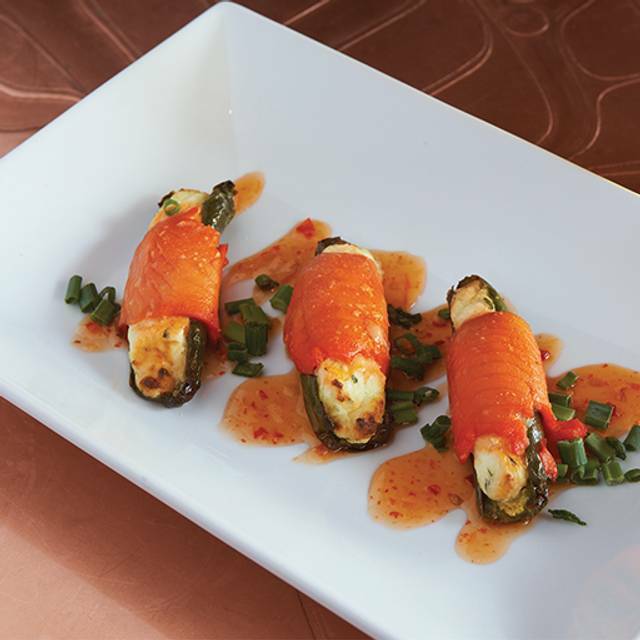 Dine on Chef Somerville's fantastic menu and your favorite beverage from the “Whale Maker” lounge! 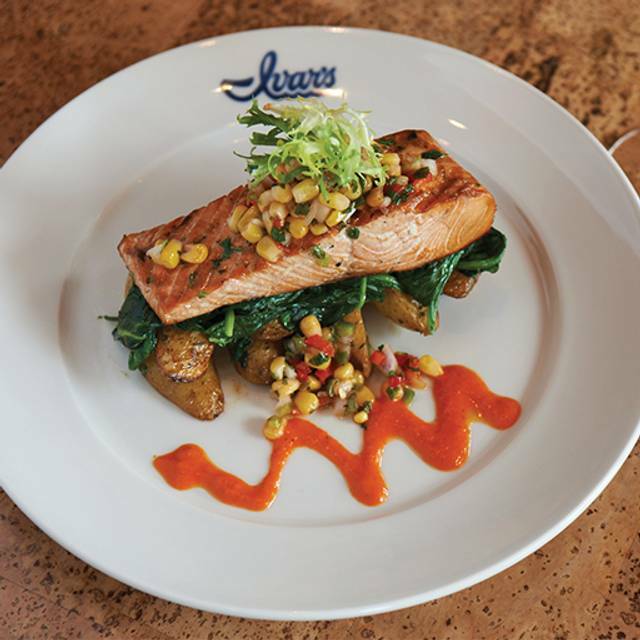 Ivar's Salmon House invites revelers to reel in 2019! 180-degree views of Lake Union will set the stage for your spectacular private event at Ivar’s -- truly the heart and soul of the region. 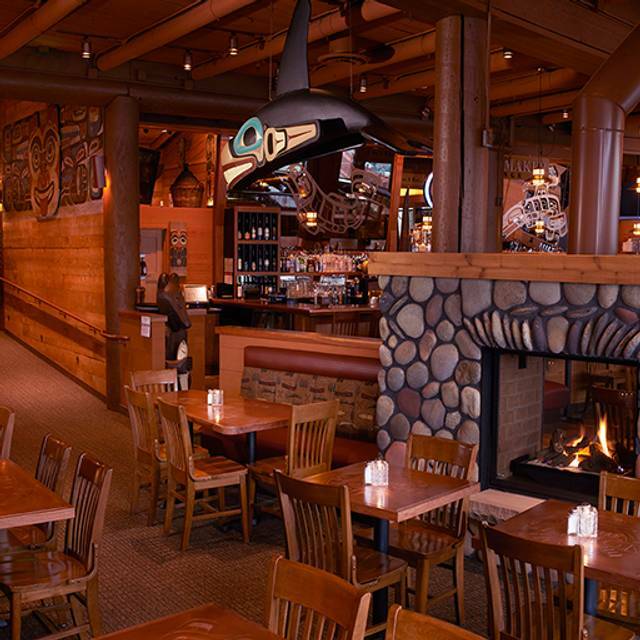 Whether you’re celebrating an intimate wedding or planning a rehearsal dinner, Ivar’s offers the best of the Northwest! 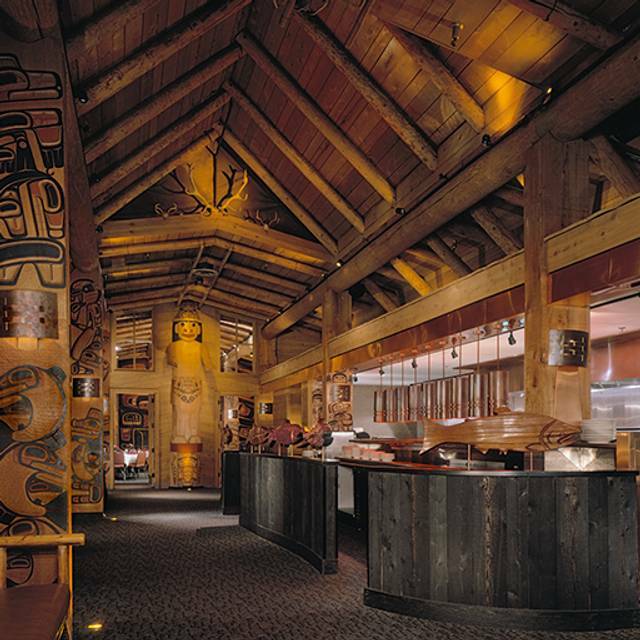 Ivar's Salmon House is a beautiful cedar replica of a Northwest Native American Longhouse, complete with an open-pit Native American-style barbecue for preparing succulent alder-smoked entrees. Here, in a setting filled with Northwest native artifacts and historical photographs, you'll enjoy memorable meals surrounded by spectacular views of boats cruising on Lake Union with the city skyline in the background. Favorite daily entrees and fresh-sheet selections include alder-smoked salmon, prawns, alder-smoked chicken, and seasonal seafood specials. First-of-the-season fresh Alaska Halibut has arrived! 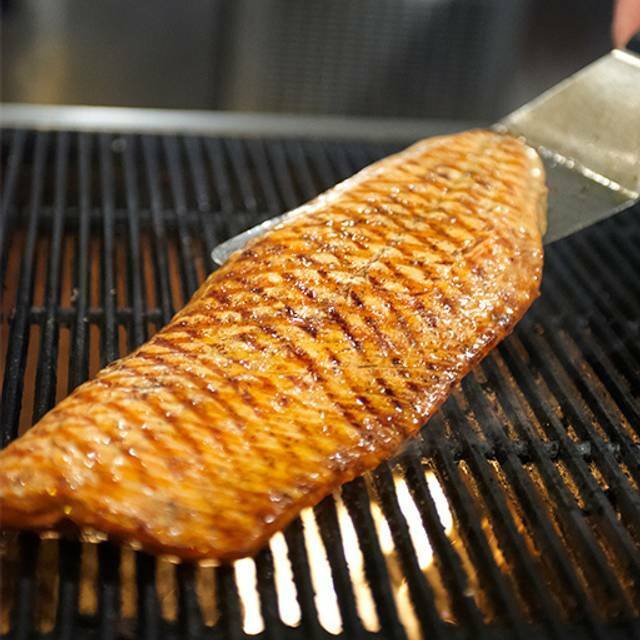 Ask your server for today's catch! 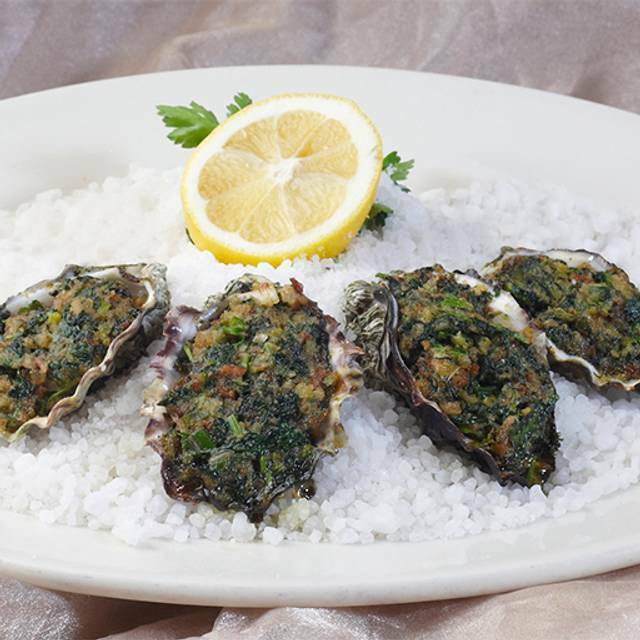 *The King County Health Department would like to remind you that eating raw or undercooked shellfish, fish or meat may increase your risk of developing food-borne illness. Other items may be made gluten free by modification. Ask your server for details. I had mentioned that it was also a birthday when I made reservations yet there was no mention of it when we were at the Salmon House. When our server arrived he seemed to appear like we were taking up his time. I had to ask him his name. He warmed up some through the dinner but he really did not want to engage. We were his only customers when we ordered. The food was great as i expected, the view was nice though two of us had our backs to it. I have such nice memories over the years we have come but I do not think that we will come again. We attended the Easter brunch buffet at Ivar's . The food selection was nice with some great seafood options. The setup however is a bit tough. It would be nice to see the stations broken up a little more into smaller areas so that you don't have to wait in a line for a couple of things you want. The afternoon was spent more waiting in line for food than enjoying time with our family. There was only a few minutes when we were all at our table at the same time. We've been to other Easter buffets with a better experience. Wonderful Easter Sunday Brunch experience for my entire family! Beautiful location and view. Great Easter buffet and wonderful service. Had a wonderful time. Thank you! The view is superb, that and the art alone worth coming for. The grilled sockeye with huckleberry sauce and corn pudding was very good, and the grilled sockeye on Caesar salad also-except the Caesar dressing was bland and added no flavor; same for the croutons. I was surprised and disappointed that Ivar's is still serving Chinook. Service was great. Overall, an enjoyable and pleasant dinner. Iconic views and decor. Well cooked, traditional cuisine highlighted the quality of the fish. As always the food was great, the view was wonderful and the service was great also. We had a table in the corner along the windows and the view was spectacular! Our server was friendly and efficient and helpful with suggestions. The food was amazing - my daughter had the classic fish & chips and I had the Halibut and rhubarb special. Both were cooked to perfection. We went for happy hour that is available in the bar and adjacent area. We were lucky enough to get a window table as the the clouds were breaking and the blue sky over Union Lake - incredible location. Really nice happy hour menu with very reasonable prices for excellent food. Definitely recommend. Took a coworker to lunch. Beautiful day to dine on the lake. Meal was great, service attentive and helpful. Our server, Marcus, was excellent. He provide a tour of the seafood preparation from sea to table like I have not heard before in your establishment. My guest, include a the Dean's distinguished lecturer from the UW Department of Architecture. He and his companion were favorably impressed. Thank you. We had a great time and the food was delicious! A Seattle standard. This is one of several Ivar's and maybe the nicest. Doesn't harm the ambiance to have the championship women and men crew practicing on the water. Our server, Arlice made the night! She was perfect i n every way. The restaurant ambience was good, but feel a bit dark. The problems were the food and wait time for the food. We had to wait for the food almost 45 minutes. I ordered top sirloin, but unfortunately, the steak was overcooked. 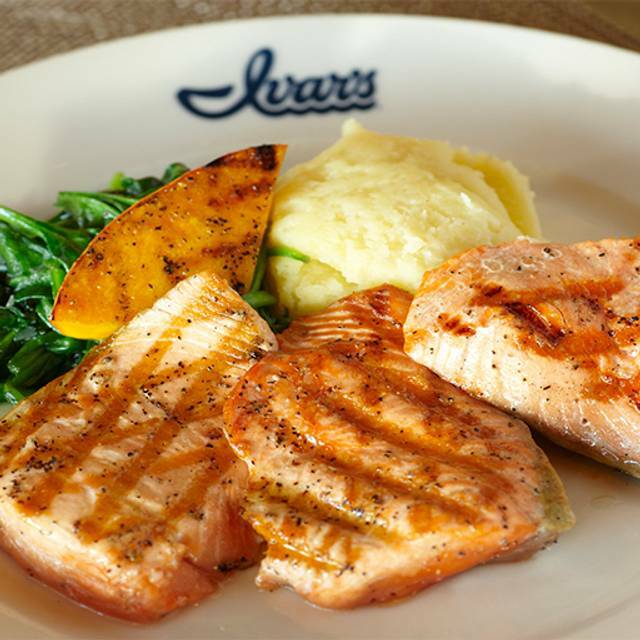 Ivar's Salmon House has been one of our favorite destinations for dinner for over 30 years. 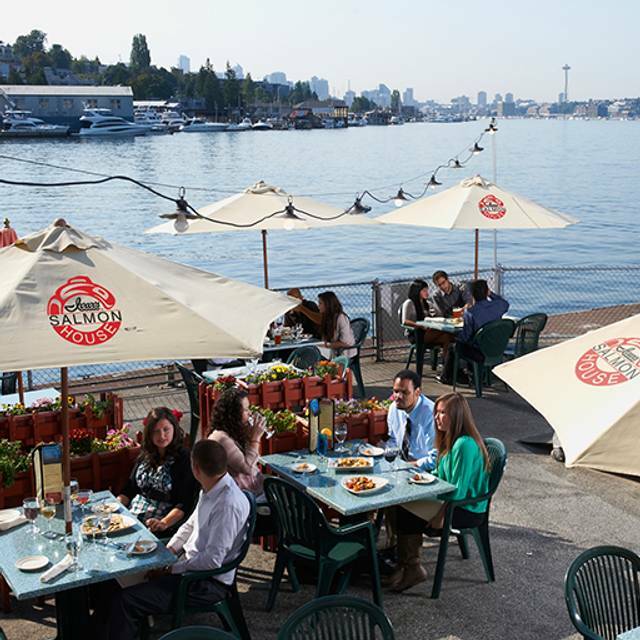 It has never disappointed us in any way for the quality and freshness of the food, the interesting decor and the fabulous views of Lake Union and downtown Seattle. Our server, Marcus, was one of the most engaging we've had there, and our group had a great time talking and joking with him. Ask him about the vanilla ice cream if you are lucky enough to have him as your server. :^) We will be back again and again. Been eating at the Salmon House for five decades. This time the service was good but not great. Another utterly delightful experience at Ivars Salmon House. Perfect food, excellent service, and a view that fed my very soul. Thank you Ivars! This is a beautiful Northwest restaurant overlooking Lakre Union. A great place for out-of-town guests. We went on a Wednesday and were seated promptly by the window. Our orders came quickly. The food was delicious, except for the very salty scallops. We will visit again. Our server was lovely but the restaurant was terribly understaffed and the poor guy was sprinting to cover his tables. The wait for service was really long - 30 min before we got drinks and the bread we ordered never showed up. He kept dropping off free bowls of chowder to appease the crowd. It definitely was not the Ivars experience of years past. Still the best view for dining on Lake Union. Still the best fish & chips in Seattle. And even with 3 stars, it's worth the visit. I had a great piece of juicy halibut and my spouse had the standard fish & chips. We come here 3 or 4 times a year and will continue to do so. Having been here many times prior , we came again to celebrate a birthday. Service was very slow, and the restaurant was not even busy. Food was not hot, seemed as if it had been sitting for a while. This was a disappointing trip to Ivar’s. Beautiful view of the waters, great celebration of Native American history in the area, lots of wood, great lighting. Great location. Seafood was fresh. Service was slow. Overall a good experience. Excellent selection of salmon dishes, everything our table ordered was delicious! Have always had great service and food. This last dinner was great, but didn’t like the attitude at times from our waiter. We were a party of six, and when we asked what certain things were on the menu, he laughed at us, and made us feel humiliated. Ivar's Salmon House is a Seattle treasure where you can get a really nice dinner for a really reasonable price. When we were there Friday it was a sunny day and we had a great table at one of the many windows providing such a nice view of Lake Union -- a working lake, as well as plenty of recreational boats/paddleboards etc. I had a Dungeoness crab cocktail and Ivar's crab louie salad. And a glass of champagne! One of us had her favorite Ivar's wildberry fizz to drink, and the seafood platter: where she got fried cod AND fried halibut on top of her clam strips and prawns. She'd never tried fried halibut before so that was an especial treat, and the waitress very kindly brought extra cole slaw. She'd been promising herself a cup of Ivar's clam chowder (Manhattan style for her) and could hardly stop talking about how good it was. The third in our party had Ivar's grilled halibut with pea risotto and exclaimed over how delectable the halibut was. (Also, a large portion, she took left-overs home for the next day.) We all shared a creme brulee, which was a perfect balance of creaminess and the crispety crunch of the carmalized sugar topping (no leftovers of that!). My crab cocktail was an interesting and innovative "take": a little bit of cocktail sauce as a foundation on the plate, then cocktail shrimp, then a layer of slice avocado, finished off with a very generous layer of Dungeoness, both leg meat and body meat portions that was large enough to distinguish them as what they were. Prawns at the four corners of the plate! It was great fun, but I shared it with the others anyway because I knew I had crab louie coming. Service was excellent, attentive, but not intrusive. Our waitress went the extra mile to make sure that we had everything we wanted for our meals, and was knowledgeable about the menu. There's a nice beer/cider list and plenty of variety of entrees. Go to the Salmon House for a nice meal in a warm welcoming setting! Our party of 3 adults and 1 six year had a great 2 hour dinner! The view of the Space Needle was good even with the low clouds and rain. The food was local and delicious. I have eaten here a few times and look forward to returning (again). Had the surf and turf with king crab legs. Wonderful and I had NO problem extracting the crabmeat from the shell. Good food, excellent service. The staff was very helpful since my 90 year old father who can't see or talk well. They took the time to listen. My only complaint was I left my leftovers in the car and didn't get a chance have them. Nice place for the view! The fresh Halibut was unbelievable. Had the server previously and he always acts like he's in a panic and he forgets things. Otherwise, a fantastic experience. Beautiful view along side Montlake Bridge but not so pleasant a sight on the plate. Ordered salmon and crab cakes with calamari appetizer. Calamari was greasy with an uninspired tub of sauce and at $15 you are paying high end restaurant prices for fair ground grub. Both orders of salmon were over cooked and served with carrots and green beans. Carrots and green beans? That is whose idea of a veg on a $37 dinner? Dinner was over by 6pm and we needed to make a 7:30pm theater curtain: surely, not a problem? Except it took the waiter 25 minutes to bring the check (remember we dined pretty early so the restaurant was fairly empty) and no, we did not have dessert or coffee so we were just sitting and waiting. Another 10 minutes to pay the bill which meant that yes, we missed the 7:30 curtain! Lousy meal, lousy evening. We will never return. By accident we showed up on Ivar’s anniversary. Buy one dinner get another one for $1.14 in celebration of Ivar’s being 114 years old. Apparently they do this every year. Great service. Great food. Waiter was very patient with us before we ordered and very attentive during the meal. Great place to eat. Busy but the service was very nice and polite. He refilled water without asking and was proactive about watching our entrees. They were late but without us asking he told us he was checking on it and the kitchen was backed up. The grilled alder salmon was on par and we loved the rock and blue salad. Ivar’s is old school and they know how to do big occasions right. For ivar’s Birthday and mine 3/20 they rose for the occasion. Anthony, the waiter was terrific. I’m not just saying that, he was. For a packed restaurant it was easy to hear. As I turned 54. That was saying something....that even I could here. L. O. L. Seafood as always was fresh & delici. Take from Eddy Corker...go to Ivar’s. My mom always did. We love it when we can make it to the Salmon House. Really enjoyed our meal during Ivar's birthday celebration, though the last time we were there it was even better. The ambiance is the best, and the food is very good to excellent. The service was good that evening, which considering how many people were there was commendable. We will absolutely be back again. Thanks for a great experience. We enjoyed Ivar's Salmon House on one of the busiest days due to the Birthday promotion. Our reservation was available a few minutes after 7 since they were getting a window seat for my Wife's birthday as I had requested. Our server was very attentive (especially on such a busy night) and the food was as great as we have come to expect from Ivar's.